Lynas is an integrated source of rare earths from mine to customer. Rare earths are essential inputs to​ high technology, high growth, future-facing industries, especially those involved in energy efficient sectors. Lynas Advanced Materials Plant (LAMP) – an integrated manufacturing facility, separating and processing rare earths materials, located in the Gebeng Industrial Estate (GIE) near the Port of ​Kuantan in Malaysia. The LAMP was granted a Full Operational Stage License (FOSL) from Malaysia’s Atomic Energy Licensing Board (AELB) on 2 September 2014. The LAMP is now supplying rare earths products to customers in Japan, China, Vietnam, South Korea, Europe and North America. The company’s Japanese customer base continues to grow strongly and currently represents about 60% of sales. 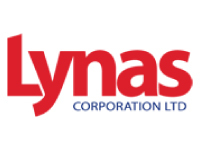 Lynas is attractive to key customers as a stable and integrated supplier of high quality rare earths, particularly the strategically significant neodymium, praseodymium (NdPr) and certain heavy rare earth materials. Unique chemical, catalytic, electrical, magnetic, metallurgical, and optical properties enable rare earths to play a key role in the advancement of materials technology. Rare earths already play a critical role in the electronics, automotive, environmental protection and petrochemical sectors. Industry analysts expect demand in key end use markets to grow well ahead of global GDP per annum, creating strong demand for rare earth materials.